Last week, those of us paying attention watched the bizarre spectacle of Supreme Court nominee, Judge Brett Kavanaugh getting emotional about his calendars. I’ve never kept a paper calendar, it alway seemed too much of a constraint. Around the year 2000, I toyed with keeping a planner/calendar online, thanks to the Internet Archive, I can still see my mad travel schedule. 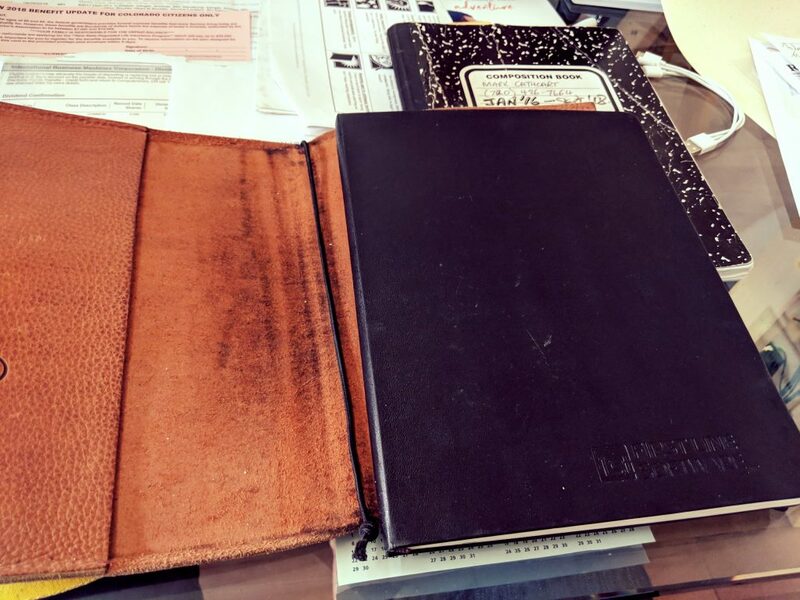 What I have kept, since 1979, are notebooks. I still have most of them(*1), they are both interesting and dull. The changing over to a new notebook is always much more than turning over a new page, it’s more like the start of a new era. The notebook is a fabulous moleskin notebook, courtesy of First Line Software, given to me 3-years ago while I was still at Dell. My last notebook was good for a couple of years. It contained notes, to-do lists, project activities and more. Most of this was about my transition from being an executive at Dell, to being a husband and stay at home dad. It also covers some epic projects, which like my prior IT career, didn’t always go well. These included trying to get to grip with the US Medical billing system as my heart attack; also the epic screw-ups made by FRSR llc of Broomfield while landscaping my backyard. Some of my old notebooks cover key developments in both my career and technology. I have notebooks over the period 1983-1985 as I grappled with learning how the US Banking system worked, the requirements of systems such as the SWIFT banking, interconnect system; virtualization of operating systems on 12Mb memory systems; working on protocols to transfer data between dissimilar architecture an data format systems, which lead to the precursor to the ARC file format, which lead to the Zip file format; later notebooks cover my introduction to X.25 Networks as we built out a worldwide financial services network; and then my whole career at IBM, including the arrival of the World Wide Web, and so much more. Apart from the recollection and reflection. notebooks, correctly dated and annotated can have real value for technical architects and programmers. During a patent dispute in 1998, I was able to return to a notebook from 1985 and prove that the disputed patent wasn’t unique, even though I no longer had access the system we’d implemented it on, and the system was no longer in existence. While it the patent wasn’t invalidated, it did save us a massive licensing fee. I look forward to all the events, actions, projects and plans over the next couple of years. Keep a notebook. *1 It all went wrong for a few years when the Filofax was a thing. Notwithstanding Sam Cookes heavily racially motivated “A Change is gonna come“, that is exactly what is happening in Texas. Change is coming. The freedoms that have been held here as a right, are being diluted, and by that, I don’t mean the ridiculous moves by the far right, mostly white Christians.. Sure, they may win in the short term, but in the long term, they’ll have to change. Why? They very growth former Governor Rick Perry espoused and celebrated as often as he could, proclaiming the Texas miracle, the traditional freedoms can’t hold at the growth rates we see in Texas cities. This is more pronounced in the big cities of Austin, Dallas, and Houston, but there is spill over into the mid-size and even the small cities. 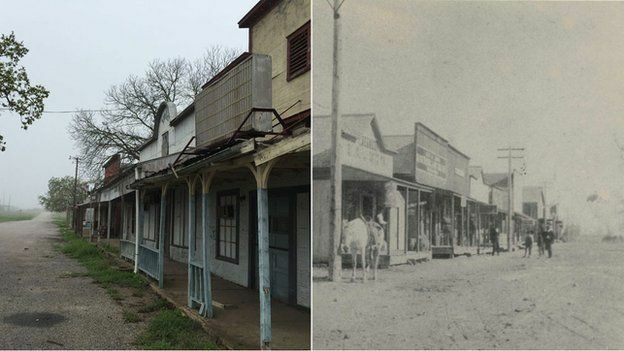 This article from BBC amply illustrates the issues and what one, very small place, Kingsbury TX is doing. I assume at least Kingsbury residents pay property tax to the county, and sales tax goes to the state, so in practice they are getting what they pay for. If they don’t have much of anything for a city government then that’s fine until they need it, at which point they won’t be generating enough property tax and sales revenue to cover it, and like everyone else in smalltown Texas, they’ll be expecting the “big city folk” to pickup the slack. Metropolitan Texas is coming, when people live in close proximity, their priorities and problems change, and that drives the laws and loss of freedoms these people, and apparently a lot at the Texas State house are afraid of. Along with that liberty, also comes a change in attitude to toleration for everything from LGBT to the non-white community. Instead of historically being able to segregate them, divide, force them to the fringe, more and more people live alongside those formally discriminated against, and learn that, really, they are just people too. Of course this will take time, looking at the ridiculous, gerrymandered districts that include swathes of big cities intersected with sub-urban and rural areas will make it difficult to unset the time travelers that want to keep Texas in the 1950’s. However, as we’ve seen in the Indiana Religious Freedom debacle, big business, mostly metropolitan based, now holds all the cards and they will halt the journey back to 1950, because their success is dependent on being able to hire and keep the best and the brightest, and they don’t want to work in the 1950’s.